The death of a County Armagh man from a heart attack while he was on a waiting list was preventable, a coroner has found. Denis Doran, known as Denny, attended Craigavon Area Hospital's Emergency Department in August 2016, complaining of chest pain. He was seen by a locum consultant, Dr Mohammod Asaduzzeman, who incorrectly diagnosed him with a hiatus hernia. Mr Doran, who was 57, was discharged. He died on 19 November 2016. 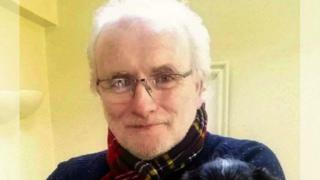 The Southern Health Trust apologised for failings in Mr Doran's care and treatment. Despite being referred twice by his GP to Craigavon's rapid chest pain clinic, the Lurgan man died of a heart attack while waiting for his appointment. The trust said the target waiting time for a clinic appointment was two weeks, but due to staff shortages Mr Doran was waiting for more than 11 weeks. He died before he could be seen. It emerged during Friday's inquest that 13 other patients have died while waiting to be seen by the rapid access chest pain clinic, six as a result of a "cardiac event". One patient died after three months on the waiting list. The coroner, Patrick McGurgan, said if Mr Doran had received a proper diagnosis and treatment, the outcome would have been different. If he had been seen in a timely manner by the chest clinic, again, there would have been a different outcome. He also raised concerns over the way locum consultants are recruited and appointed - Dr Asaduzzeman had not had an interview or orientation when he turned up for his first shift. The coroner also said he would be asking the Southern Health Trust to review the cases of 13 patients who died while on the waiting list and, if necessary, to refer them back to him. He raised the possibility the deaths may need to be investigated by the coroner's court. 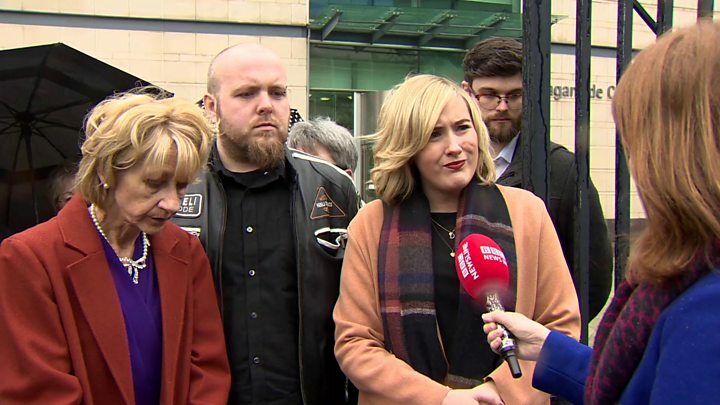 Speaking outside court Mr Doran's daughter, Jayne Doran, said her family's life had been "ruined". "They let him down. He sought help and my dad never would have run to a doctor - that wasn't him. "But he sought help on three occasions and each time was told he was fine. "He wasn't fine. He dropped dead and all our lives have been utterly ruined and his has been stolen from him." A trust spokesman said: "Our deepest sympathies are extended to the Doran family". "Along with our own internal investigations, we have fully participated in this inquest process and accept the coroner's findings. "We will review the coroner's written findings when completed."